Houseless, not homeless! 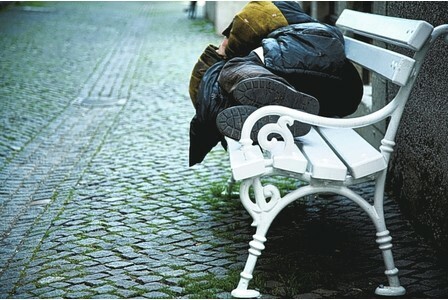 : Canterbury night shelter offers a vital winter service - Houseless, not homeless! Canterbury night shelter offers a vital winter service - Houseless, not homeless! The problems worsen, even for those across the pond in the UK. All around the world the number of those who fall into classes of citizens such as the "have not", "have nothing" and even what can appear to be the "Last Class" citizens category has been rising. Many will state that it is due to the greed of those at the top of the food chain, but is it really? What if we each do our part as we should be doing and STOP only depending upon organizations, shelters, soup kitchens and food banks to do it for us. We all have a part to play in this ever confusing world and that is being neighborly to our fellow human. Please try some today and always! A CHARITY which runs a temporary night shelter for rough sleepers is appealing for funds. The vital winter service is run by Catching Lives at a different church in Canterbury each night of the week until February 28 and is manned by volunteers. It is the third year the shelter has provided this assistance – and it is expected to help more than half of those coming through its doors to get off the streets for good. Last year's shelter helped 36 out of 60 homeless people move into long-term accommodation. But after February, there is no night drop-in centre. Catching Lives' patron Rowan Williams, the Archbishop of Canterbury, has said homelessness can be alleviated by a human touch and the restoration of dignity. Canterbury Community Shelter organizer, Jon Limebury, who set up the shelter, said: "It's so successful at moving people on because they come in off the street and into an environment where 90 per cent of people around them are volunteers who are there just for them. 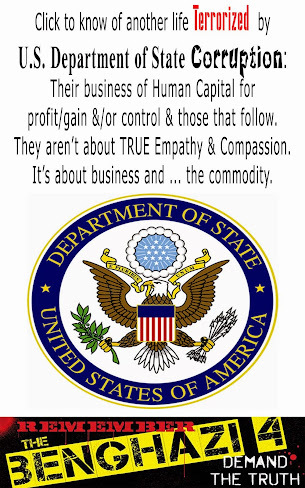 "They aren't being paid to do it. They're doing it because they want to help and that compassion creates a real motivation for people to move on." He added: "The shelter gives people dignity because it's somewhere clean, warm and safe. It gives them hope because they can see people actually care." The shelter has a community feel with people helping each other to do simple things such as put up the beds. Mr Limebury added: "It's pretty hopeless outside with people always walking by. Some people use the shelter to dry out. It provides structure and motivation. "They are so grateful to the churches and the volunteers. They don't take it for granted." He added: "It's difficult for people to enjoy anything without having their basic needs of shelter, food and warmth met. We provide a bit of stability and a base. It reconnects people back into normal society." 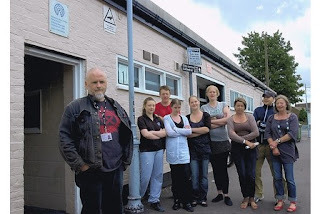 In October the charity, which runs a day centre in Station Road East, launched an urgent appeal for £50,000 to save it from closure – despite being the only daily refuge for homeless people in East Kent. It still desperately needs donations to cover basic costs and provide food for the homeless, as well as funding the winter night shelter. Catching Lives has also provided local authorities with food parcels for families in desperate need. It is now one of two Canterbury organizations authorized to hand out food vouchers for a food bank about to be set up in the city and has seen an increase in numbers of people unable to put food on the table. The charity, which provides breakfast, lunch, showers, help to get work and accommodation, has a shopping list of urgent requirements. It needs a partial new flat felt roof, a large chest freezer, new showers and toilets, extractor fan and a microwave. Manager Terry Gore recently issued a desperate plea for funding to ensure its survival. The former street drinker who turned his life around said the service was for people with nowhere else to turn. He said: "Over the last three years we have worked hard to establish a vital, community-based service and have, by and large, succeeded. "We have helped to sustain many hundreds of individuals in crisis, supported a local youth service, mentored and trained volunteers and students, and involved the local community as a whole in the establishment of the Canterbury Community Shelter. But the Open Centre is our core service and although it is the last remaining homeless day centre in East Kent, it is, simply put, a service that is very difficult to find funding for." Charity bosses have already used reserves to underpin the service after failing to win funding. Staff have been cut and the overnight shelter was scrapped last year. Mr Gore added: "Without a day centre in Canterbury, many individuals will be left without access to the basics that we all take for granted." Last year there was a 90 per cent increase in the reported number of rough sleepers in Canterbury, with a 50 per cent rise in demand for supported accommodation and a 19 per cent rise in homelessness applications to Canterbury City Council. Mr Gore said homelessness was a growing problem that was largely kept hidden because people were encouraged to sleep outside the city walls. Call the charity on 01227 464904. A DAY centre that has helped transform the lives of countless homeless people in Canterbury may close unless £50,000 is raised. Catching Lives has been forced to suspend its work and manager Terry Gore issued a desperate plea for funding to ensure its survival. He said: "Over the last three years we have worked hard to establish a vital, community-based service and have, by and large, succeeded. We have helped to sustain many hundreds of individuals in crisis, supported a local youth service, mentored and trained volunteers and students, and involved the local community as a whole in the establishment of the Canterbury Community Shelter. But the Open Centre is our core service and although it is the last remaining homeless day centre in East Kent, it is, simply put, a service that is very difficult to find funding for." Charity bosses have already used reserves to underpin the service after failing to win funding. Staff have been cut and the overnight shelter was scrapped last year. Mr Gore added: "Without a day centre in Canterbury, many individuals, now and in the future, will be left without support and access to the basics that we all take for granted." Last year, Canterbury saw a 90 per cent increase in reported rough sleepers, with a 50 per cent rise in demand for supported accommodation and a 19 per cent rise in homelessness applications to Canterbury City Council. Anyone who can help is asked to call the charity on 01227 464904.